Dækstørrelse 195/45 R15 78V SportContact 2 FR fra 729,75kr. 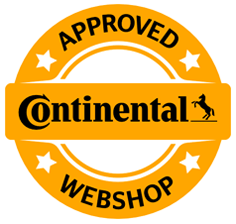 195/45 R15 78V SportContact 2 FR fra 708,95kr. 195/50 R16 88V SportContact 2 XL FR fra 943,58kr. 205/55 R16 91V SportContact 2 AO FR ML fra 589,78kr. 205/55 R16 91W SportContact 2 AO FR ML fra 623,00kr. 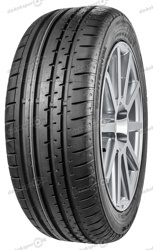 215/40 ZR16 86W SportContact 2 XL FR fra 920,25kr. 215/45 R17 87V SportContact 2 MO FR fra 807,69kr. 215/40 ZR18 89W SportContact 2 XL MO FR fra 1107,75kr. 215/40 ZR18 89W SportContact 2 XL MO FR fra 1117,54kr. 225/50 R17 94W SportContact 2 AO FR fra 1083,10kr. 225/50 R17 94H SportContact 2 * FR fra 1239,34kr. 225/50 R17 94V SportContact 2 * FR fra 968,88kr. 225/40 ZR18 (88Y) SportContact 2 N2 FR fra 801,73kr. 225/40 R18 92Y SportContact 2 XL AO FR fra 1042,98kr. 235/55 R17 99W SportContact 2 MO FR ML fra 970,18kr. 245/45 R18 100W SportContact 2 XL J FR fra 1193,14kr. 245/45 R18 100W SportContact 2 J XL FR fra 1299,73kr. 245/35 R19 93Y SportContact 2 XL * FR fra 1473,78kr. 255/45 R18 99Y SportContact 2 MO FR ML fra 1258,38kr. 255/40 ZR19 (100Y) SportContact 2 XL MO FR fra 1413,78kr. 255/40 R19 100Y Sportcontact 2 XL MO FR fra 1344,75kr. 255/35 ZR20 (97Y) SportContact 2 XL MO FR fra 1510,18kr. 255/35 R20 97Y SportContact 2 XL MO FR fra 1609,66kr. 255/35 R20 97Y SportContact 2 XL MO FR fra 1506,08kr. 255/35 ZR20 (97Y) SportContact 2 XL MO FR fra 1528,94kr. 265/35 ZR18 (93Y) SportContact 2 N2 FR fra 1396,75kr. 265/35 ZR18 (93Y) SportContact 2 N2 FR fra 1505,05kr. 265/35 ZR19 98Y SportContact 2 XL AO FR fra 1864,74kr. 265/45 ZR20 104Y SportContact 2 MO FR fra 1791,29kr. 265/40 ZR21 105Y SportContact 2 XL MO FR fra 1898,54kr. 275/40 R18 103W SportContact 2 J XL FR fra 1815,55kr. 275/45 R18 103Y SportContact 2 MO FR ML fra 1582,98kr. 275/30 R19 96Y SportContact 2 XL * FR fra 1586,89kr. 275/40 ZR19 (105Y) SportContact 2 XL MO FR fra 1661,28kr. 275/40 ZR19 (105Y) SportContact 2 XL MO FR fra 1543,59kr. 275/40 R19 101Y SportContact 2 MO FR fra 1467,25kr. 275/35 ZR20 (102Y) SportContact 2 XL MO FR fra 1809,30kr. 275/35 R20 102Y SportContact 2 XL MO FR fra 1825,81kr. 275/35 R20 102Y SportContact 2 XL MO FR fra 1827,75kr. 285/30 ZR18 SportContact 2 N2 FR fra 2769,72kr. 285/30 ZR18 (93Y) SportContact 2 N2 FR fra 1707,20kr. 295/30 ZR18 (94Y) SportContact 2 N2 FR fra 1944,63kr.